The Spanish flu, which killed about 50 million to 100 million people, reached Alaska in the early 20th century. As part of the commemoration of the American Indian Alaska Native Heritage Month, University of Alaska Bookstore is hosting a presentation about the pandemic that hit Alaska in 1918. Tundra Vision proprietor Katie Ringsmuth and Tim Troll, who is the executive director of the Bristol Bay Heritage Land Trust, stopped into KNBA’s Morning Line to talk about the presentation. But it didn’t reach Bristol Bay until 1919, likely because the cannery ships had already left, Troll said. And it affected everybody. Ringsmuth spearheads the NN Cannery history project. The project seeks to preserve the history and experiences of the cannery people – from the international crews to the off-season caretakers. “This cannery in particular when the flu pandemic hit Bristol Bay in the spring of 1919 the superintendent and the cannery doctor and nurse took care of the people who were inflicted with the Spanish flu,” she said. Travel in Alaska 100 years ago was mostly by dog sled, and getting health officials into afflicted areas was difficult, Troll said. The pandemic is particularly deadly to the adults, which left hundreds of children orphaned by the disease. 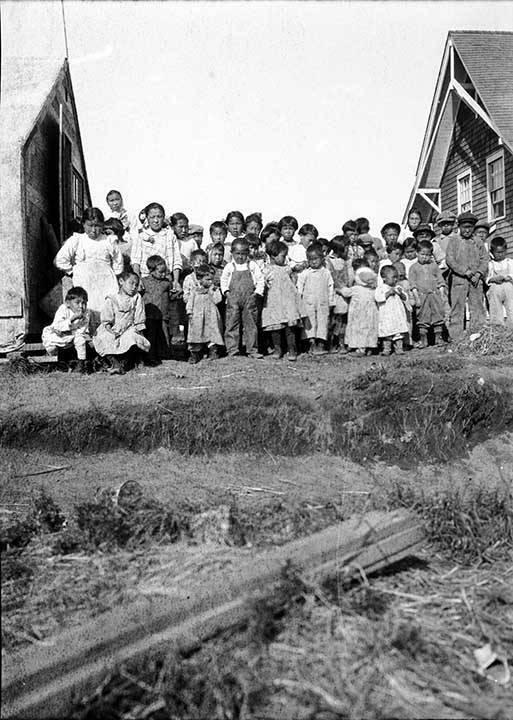 Eventually, an orphanage was established near Dillingham. Quarantines were established to help prevent the spread of the disease. “So when they went into the villages, their first instinct was to take care of the people who were still alive,” she said. “Then the next step was to make sure that the bodies were properly buried so that the disease wouldn't spread. The pandemic lasted into the 1920s in Asia, but 1919 was probably the end of it in Alaska. The presentation will be 4 p.m. Thursday, Nov. 29, 2018. The event is free. Free parking is available.